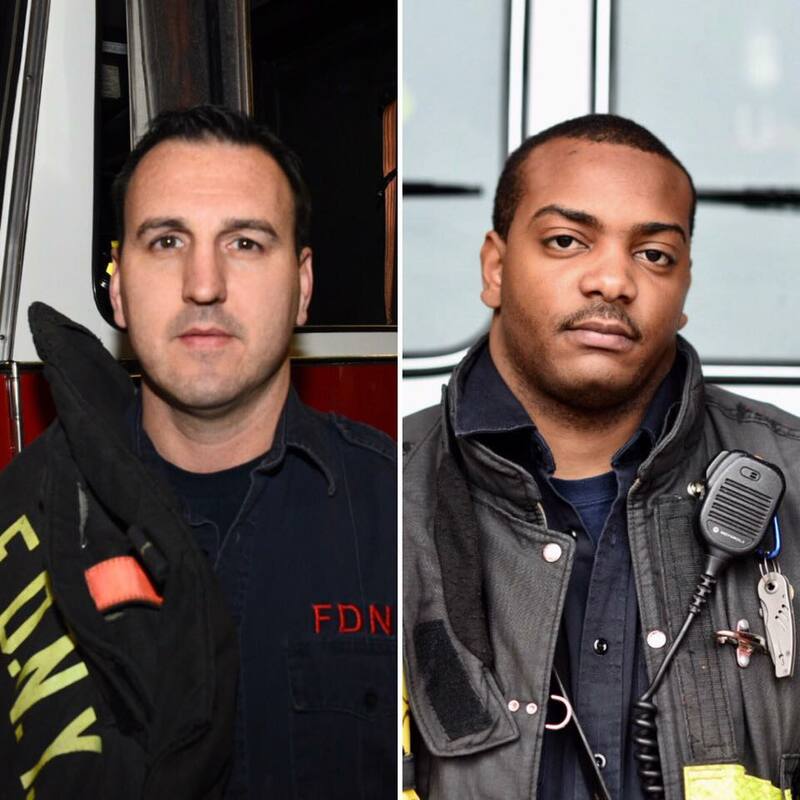 On Sunday, February 26, off-duty FDNY Firefighters Joseph McCarthy (left) and Yaanique Scott (right), along with five other members from the U.S. Army National Guard were on a UH-60 helicopter headed for a training mission when they were notified that a small plane had crashed in Westhampton, Long Island. Two passengers on-board the aircraft were killed in the crash. The crew members responded to the scene and rescued the sole survivor. “We saw someone was trapped in the aircraft and there was smoke coming out over his head. I jumped on the other side of the wing and opened the canopy cover to give him enough room to escape,” says Firefighter Scott, Engine 291. Firefighter McCarthy from Ladder 55 added, “Within two minutes we were on the ground at the crash site and were the only assets in the area for about 10 minutes before other responders arrived. We did what we could to subdue the flames but it was fuel-driven. Once fire companies arrived on scene, Firefighter Scott jumped on the hose line and assisted them in further rescue efforts.” The survivor was transported to a local hospital by local first responders. 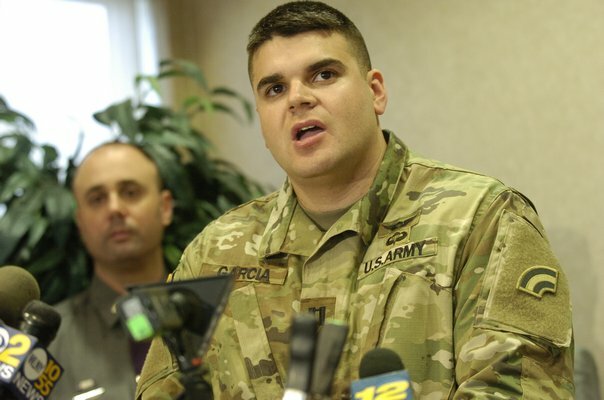 Captain Salvatore Garcia of Army National Guard unit from Ronkonkoma at press conference. 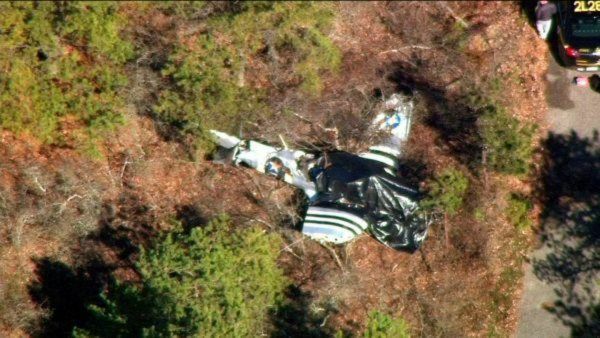 On February 26, 2017, about 1140 eastern standard time, a Ryan Navion F airplane, N4529K, impacted trees and terrain during takeoff from Francis S. Gabreski Airport (FOK), Westhampton Beach, New York. 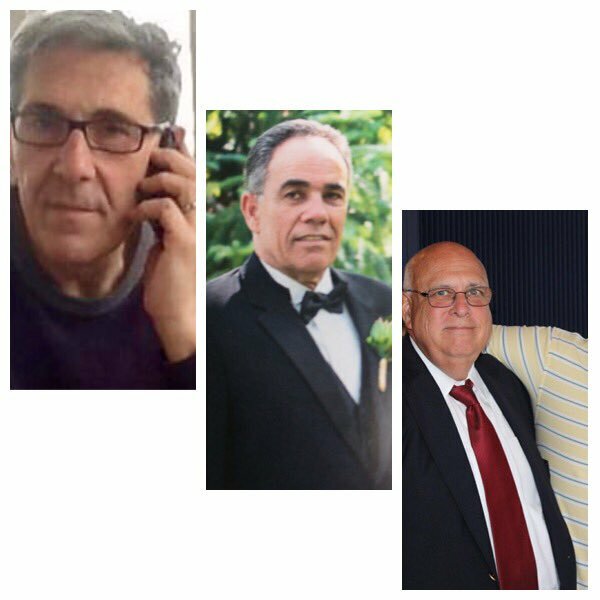 The flight instructor and passenger were fatally injured. 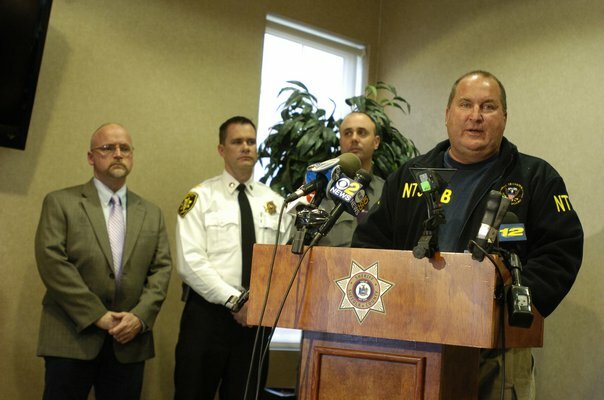 The commercial pilot was seriously injured. The airplane was consumed by fire and destroyed. The airplane was owned and operated by the commercial pilot under the provisions of Title 14 Code of Federal Regulations Part 91. 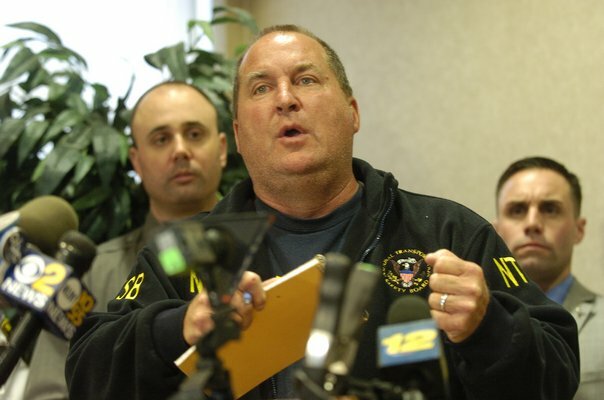 Visual meteorological conditions prevailed, and no flight plan was filed for the instructional flight, which originated from Republic Airport (FRG), Farmingdale, New York. According to the commercial pilot, he contacted the flight instructor with whom he typically flew to schedule a flight review. The instructor was unavailable and arranged for another instructor to conduct the review. The pilot stated that the flight instructor asked if he wanted to use a Cessna 172 for the flight review and that the instructor did not have any experience in Navion airplanes. The pilot declined, as he felt more comfortable flying his own airplane. They did not discuss any differences in the airplanes before the flight review. The pilot stated that he informed the instructor that he was not qualified to act as pilot-in-command, as he was not current, and that the instructor would be pilot-in-command for the flight. The flight departed FRG for FOK to perform touch-and-go landings. During the flight, the pilots performed positive exchanges of the flight controls, using the phrases, "my aircraft," and "your aircraft" when accepting or relinquishing the controls, respectively. The pilot was flying the airplane during the approach for landing to runway 33 at FOK. He stated that the wind was "gusty" so he "carried some extra power" and performed a slip maneuver during the approach. The pilot said that, about 100 ft above the runway, the instructor stated, "my airplane," grabbed the control yoke, and abruptly pulled back on the yoke. The pilot relinquished control and the airplane landed hard on the runway, then bounced back into the air. The pilot subsequently applied full engine power to avoid a stall, and the instructor yelled, "hands off the yoke." The pilot could not recall whether his hands were on the yoke at the time but did relinquish the controls to the instructor. The pilot stated that the airplane then entered a spin and collided with the trees and terrain. Control tower personnel stated that, during the airplane's initial climb after the landing, they saw it bank to the right to such a degree that they could see the bottom of the airplane. One of the controllers stated that the airplane seemed to "correct itself" briefly, then banked hard to the right again, colliding with treetops and coming to rest in the trees about 700 ft right of the runway. 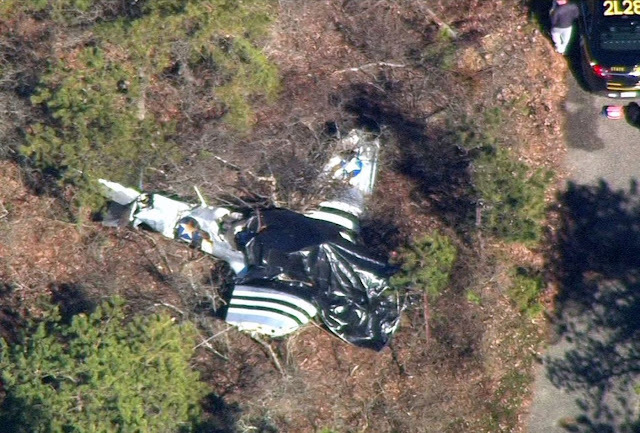 The controller estimated that the airplane was between 100 and 200 ft above ground level before it descended into trees. In a postaccident interview, the pilot stated that the design of the accident airplane provided a "sight picture" during an approach for landing that typically appeared "very steep." 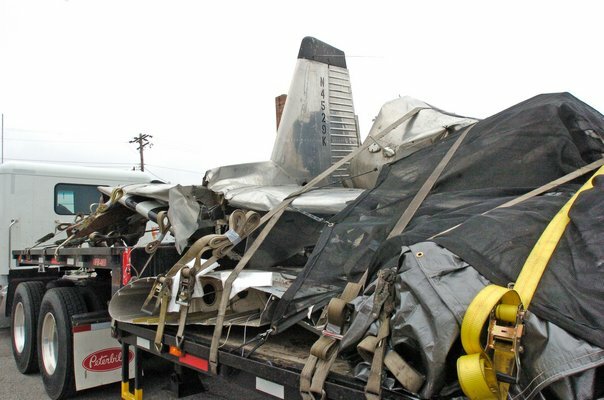 He stated that the sight picture of landing the accident airplane was "totally different" from the Piper Dakota (a PA-28 variant) airplane that he also flew. He also stated that, although many airplanes prohibit slips when the wing flaps are fully extended, such a maneuver is not prohibited in the accident airplane. The pilot opined that the sight picture observed during the landing approach and his slipping of the airplane with the flaps extended may have caused the instructor to "[feel] the need to take control of the aircraft at such a critical point in flight." According to Federal Aviation Administration (FAA) records, the pilot held a commercial pilot certificate with a rating for airplane single-engine land. He held an FAA second-class medical certificate, issued October 27, 2015. At the time of the medical examination, the commercial pilot reported 857 total hours of flight experience. 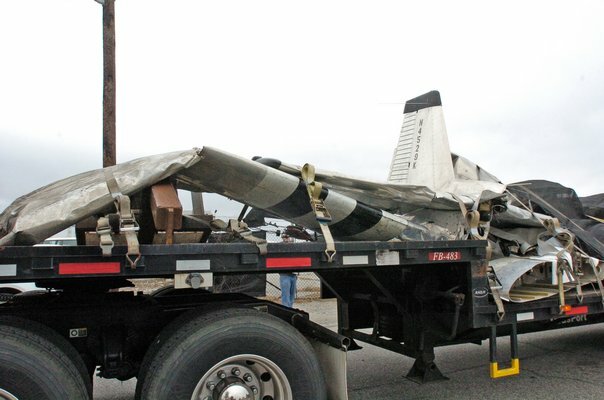 According to the pilot, he had 962 total hours of flight experience and 500 hours of flight experience in the make and model of the accident airplane at the time of the accident. According to FAA records, the flight instructor held a commercial pilot certificate and a flight instructor certificate. He held an FAA third-class medical certificate, issued March 29, 2016. At the time of the medical examination, the flight instructor reported 1,000 total hours of flight experience. Review of the flight instructor's logbook revealed that he had 1,061.5 total hours of flight experience and 159.1 total hours of experience as a flight instructor at the time of the accident. 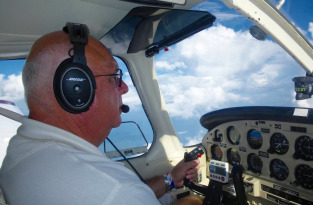 Most of his instruction was given in Piper PA-28 and Cessna 172 airplanes. 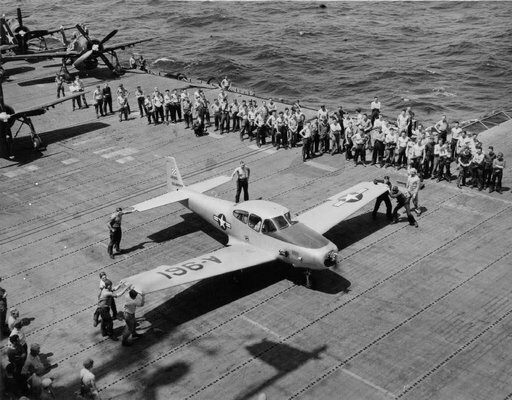 A U.S. Army Ryan L-17A Navion, similar to the one involved in the crash on February 26, 2017, on the U.S. Navy aircraft carrier USS Leyte (CV-32), in 1950. The four-seat, low-wing, retractable-gear airplane was manufactured in 1951. It was powered by a Continental TSIO-520, 285-horsepower engine, equipped with a three-blade McCauley propeller. Review of maintenance records revealed that the airplane's most recent annual inspection was completed on August 18, 2016. At that time, the airframe had accumulated about 4,550 total hours of operation and the engine had accumulated 1,257 hours since major overhaul. The 1153 recorded weather at FOK included wind from 310° at 21 knots gusting to 27 knots, visibility 10 statute miles, few clouds at 5,000 ft, temperature 5°C, dew point temperature -9°C, and an altimeter setting of 29.97 inches of mercury. Remarks included peak wind from 290° at 28 knots, at 1109. The airplane came to rest on a heading of 157° magnetic at 66 ft mean sea level. A debris path extended about 75 ft from the initial tree impact to the wreckage site on a heading about 030° magnetic. The outboard 6 ft of the right wing was fractured and located 75 ft from the main wreckage, toward the initial impact point. Its leading edge exhibited a 2-ft deep concave impression consistent with tree contact. The wing flaps were retracted, and the landing gear was extended. The left main landing gear was folded under the left wing, the right main landing gear was down and locked, and the nose gear was folded under the fuselage. The fuel selector was found in the main fuel tank position. The instrument panel and cabin area were all destroyed by fire. 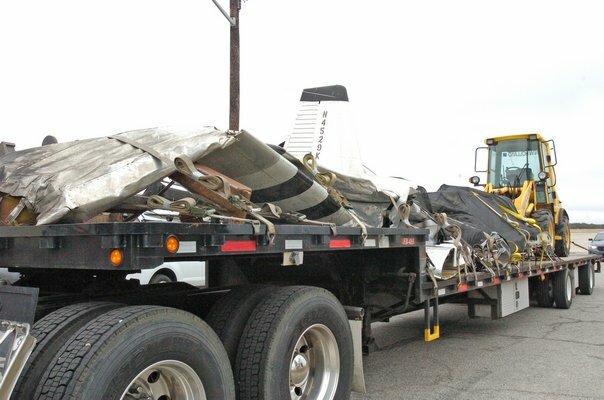 The three-blade McCauley propeller separated from the engine and was located about 30 ft from the main wreckage. The propeller blades exhibited rotational scoring, leading edge gouges, and "S" bending. Valve train continuity was observed through the engine by rotating the crankshaft. Thumb compression was attained on cylinder Nos. 2, 4, and 6. Limited thumb compression was noted on cylinder No. 5. The No. 5 cylinder head was impact-fractured on the rocker arm side. The intake valve springs were separated and the intake valve was inside the cylinder. Piston movement was confirmed on all six cylinders. The spark plugs were light gray in color and their electrodes were intact. The magnetos were intact and no slipping was noted. The ignition harnesses were intact; however, they were fire-damaged on the left side. The magnetos were removed and rotated. Both magnetos generated sparks to the ignition leads. All fuel lines were connected except for the vapor return line, which was fractured at the pump. The throttle valve was in the full open position. The throttle lever was fractured. The mixture lever was in the full rich position. The throttle-mixture-propeller cables were all intact and attached to the levers. The cockpit controls were melted. The manifold valve was clean and clear of debris. The fuel metering unit had some small debris on the screen. The outlet and return fittings were fractured. The fuel pump drive fitting was intact and rotated smoothly. The oil pan had a small puncture hole in the bottom of the pan. There was no oil in the engine; however, there was oil on the ground under the engine. 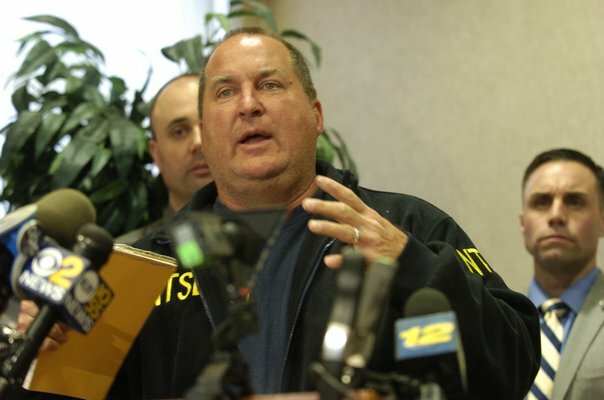 The Office of the Medical Examiner, Suffolk County, New York, performed an autopsy on the flight instructor. 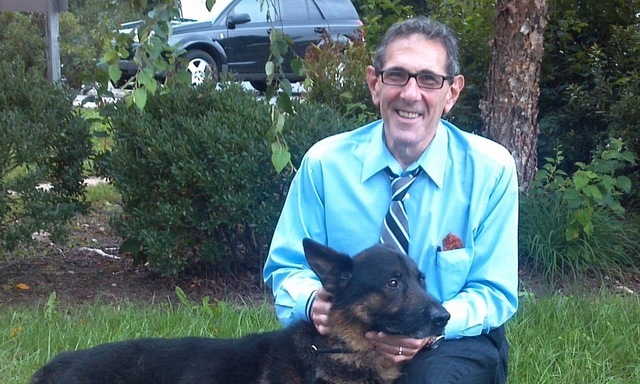 The report listed the cause of death as unspecified blunt force trauma. The FAA Bioaeronautical Sciences Research Laboratory, Oklahoma City, Oklahoma, performed toxicology testing on specimens from the flight instructor. The results were negative for drugs and alcohol. Instructors should also consider their own experience and qualifications in a given M/M [make and model] aircraft prior to giving a review in that model.… For aircraft in which the flight instructor is not current or with which he or she is not familiar, he or she should obtain recent flight experience or sufficient knowledge of aircraft limitations, characteristics, and performance before conducting the review. 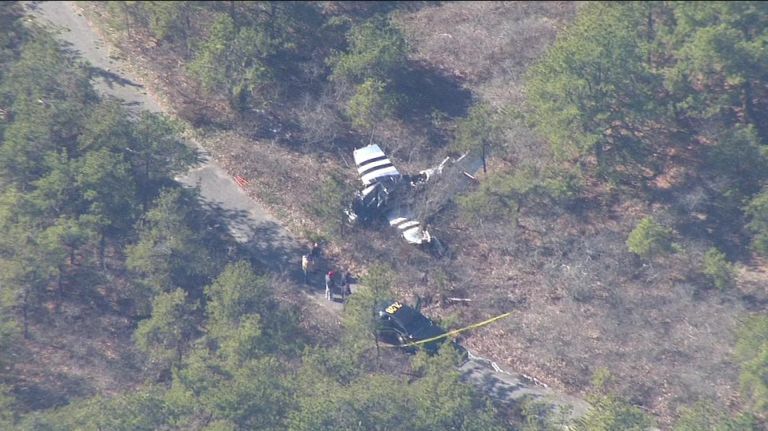 On February 26, 2017 about 1140 eastern standard time, a Ryan Navion F, N4529K, impacted trees and terrain during the initial climb from the Francis S. Gabreski airport (FOK), Westhampton Beach, New York. 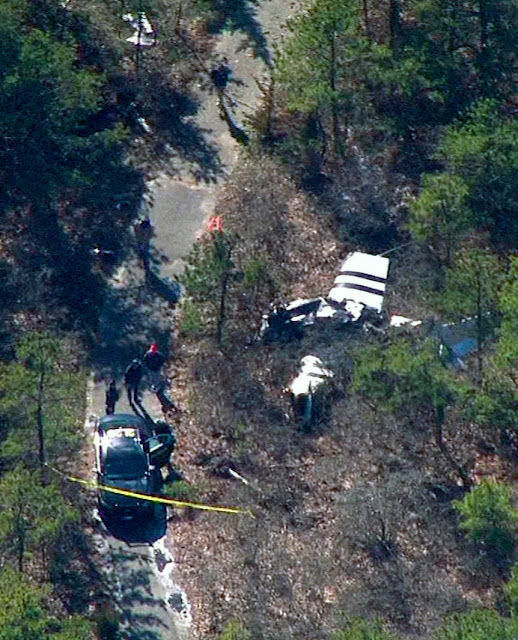 The flight instructor and one passenger were fatally injured. The commercial pilot was seriously injured. The airplane was consumed by fire and destroyed. Visual meteorological conditions prevailed and no flight plan was filed for the local flight. The airplane was owned and operated by the commercial pilot as an instructional flight in accordance with the provisions of 14 Code of Federal Regulations Part 91. The airplane was based at Republic Airport (FRG), Farmingdale, New York, and departed for a flight to FOK. The commercial pilot was seated in the left seat, receiving a flight review. The flight instructor was seated in the right seat. A friend of the commercial pilot, who was a private pilot, was seated in the rear, right seat. The pilot contacted the air traffic control tower at FOK and advised that they wanted to perform some practice touch-and-go landings. The tower cleared the airplane to perform touch-and-go landings on runway 33. After the first landing, the airplane took off and according to tower personnel, they saw the airplane bank to the right so much that they saw the bottom of the airplane. They further stated that the airplane seemed to correct itself for a short while and then banked hard to the right again, hitting the tree tops and coming to rest in the trees, approximately 700 feet to the right of the midfield of the runway. 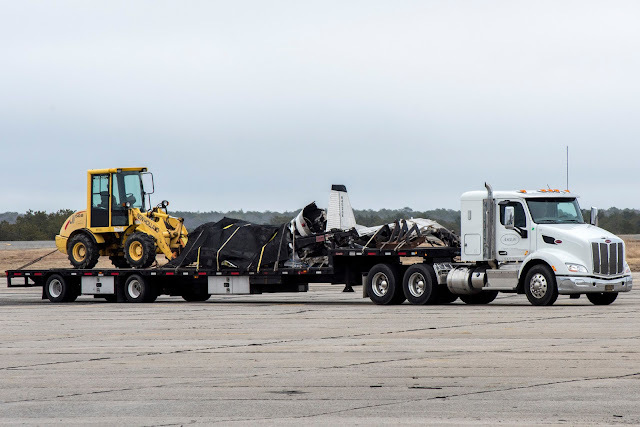 The wreckage was examined at the accident site and a debris path extended approximately 75 ft from the initial tree impact to the wreckage site, on a ground track of 030°. The wreckage site elevation was 66 ft. The airplane came to rest on a track of 157°. The outboard 6 ft of the right wing was fractured and located 75 ft from the main wreckage. Its leading edge had a tree impression approximately 2 ft in depth into the wing. The flaps were retracted and the landing gear was extended. The left main landing gear was folded under the left wing, the right main landing gear was down and locked and the nose gear was folded under the fuselage. The fuel selector was found in the main fuel tank position. 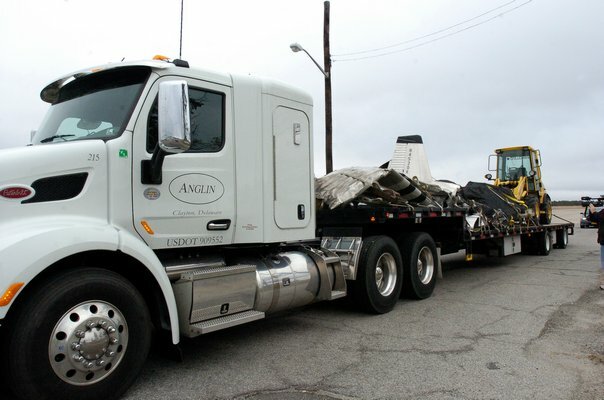 The three-blade McCauley propeller separated from the engine and was located about 30 ft from the main wreckage. The propeller blades exhibited rotational scoring, gouges, and "S" bending. Valve train continuity was observed through the engine by rotating the crankshaft. Thumb compression was attained on cylinder Nos. 2, 4, and 6. Limited thumb compression was noted on cylinder No. 5. The No. 5 cylinder head was impact fractured on the rocker arm side. The intake valve springs were separated and the intake valve was inside the cylinder. Piston movement was confirmed on all six cylinders. The spark plugs were light gray in color and their electrodes were intact. The magnetos were intact and no slipping was noted. The ignition harnesses were intact; however, they were fire damaged on the left side. The magnetos were removed and rotated. Both magnetos generated sparks to the ignition leads. All fuel lines were connected except for the vapor return line, which was fractured off at the pump. The throttle valve was in the full open position. The throttle lever was fractured. The mixture lever was in the full rich position. The throttle-mixture-propeller cables were all intact and attached to the levers. The cockpit controls were melted. The manifold valve was clean and clear of debris. The fuel metering unit had some small debris on the screen. The outlet and return fittings were fractured. The fuel pump drive fitting was intact and rotated smoothly. The oil pan had a small puncture hole in the bottom of the pan. There was no oil in the engine; however, there was oil on the ground under the engine. According to Federal Aviation Administration (FAA) records, the pilot held a commercial pilot certificate with a rating for airplane single-engine land. He held an FAA second-class medical certificate, issued October 27, 2015. At the time of the medical examination, the pilot reported 857 total hours of flight experience. According to FAA records, the flight instructor held a commercial pilot certificate and a flight instructor certificate. He held an FAA third-class medical certificate, issued March 29, 2016. At the time of the medical examination, the flight instructor reported 1,000 total hours of flight experience. The four-seat, low-wing, retractable-gear airplane,, was manufactured in 1951. It was powered by a Continental TSIO-520, 300-horsepower engine, equipped with a three-blade McCauley propeller. Review of maintenance records revealed that the airplane's most recent annual inspection was completed on August 18, 2016. At that time, the airframe had accumulated about 4,450 total hours of operation and the engine had accumulated 1,257 hours since major overhaul. The recorded weather at FOK, at 1153 was, wind from 310° at 21 knots, gusting to 27 knots, visibility 10 statute miles, few clouds at 5,000 feet, temperature 5° Celsius (C), dew point temperature -9° C, altimeter 29.97 inches of mercury. Remarks included, peak wind 290° at 28 knots at 1109.